Having written a couple of work-in-progress blogs on this topic (here and here), I thought it might be helpful to summarise what we've been able to conclude so far about the claims made in the SNP's Growth Commission report. To be absolutely clear: this is not a critique of the ideas in the report , it is solely a critique of the GDP/Capita and growth rate assumptions the report uses to make its economic case. The Netherlands is not even among the countries the report name-checks when it says the report "learns in particular from Denmark, Finland and New Zealand"
At the very least the report should have shown a sensitivity analysis to highlight what would happen if that 0.7% turned out to be 0.26% - or indeed if it turned out to be the 0.12% figure the independence White Paper previously used. Of course we know the answer because it's a linear relationship; 25 years becomes 67 years becomes 146 years! 3. 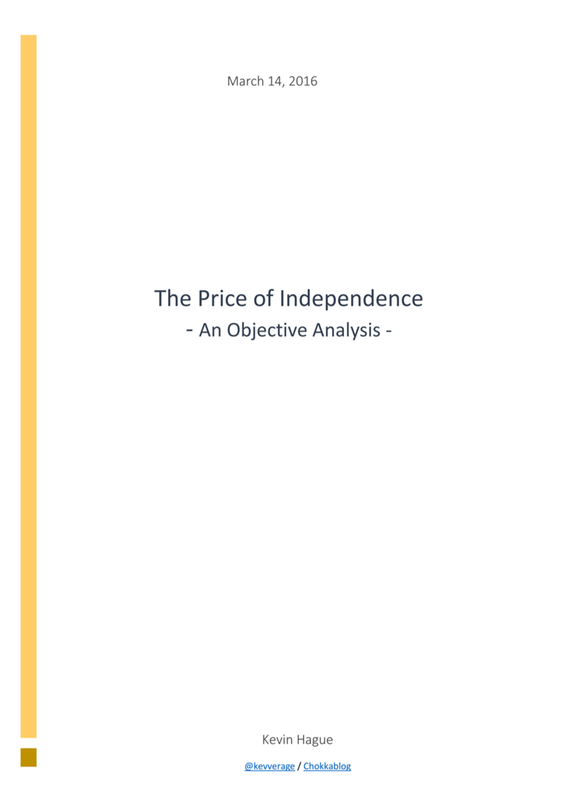 The report does not present a case for independence because many (possibly most) of the recommendations in the report could be implemented using existing devolved powers or - in the case of immigration in particular - modified powers. Even then, we certainly can't attribute all of the benefits of the economic model suggested to independence because as the report itself concedes "many of our recommendations could be agreed and implemented [...]6 either with existing or enhanced policy responsibilities for Scotland's Parliament and Government"
So there we have it: the "the economic boost" headlines spun from the report are ridiculous, the report's assumptions on growth rates (and hence the 25 year timescale to achieve) are extremely optimistic and based on poor quality analysis ... and the report doesn't make a case for independence anyway. "GERS can't tell us what an independent Scotland would look like, that is of course true." But Kevin Hague can tell us what it will look like in 67 years time. I don't know whether to be depressed at the document, or quietly elated that it's been eviscerated so comprehensively and so rapidly. "Away with ya" spoken in a Rikki Fulton voice. Oh dear oh dear - all I have done here is replicate the Growth Commission's own analysis and show how sensitive it is to the inclusion of Hong Kong and Singapore (low tax, high-inequality economic models that the Growth Commission rejects) in their "we could be like them" cohort. 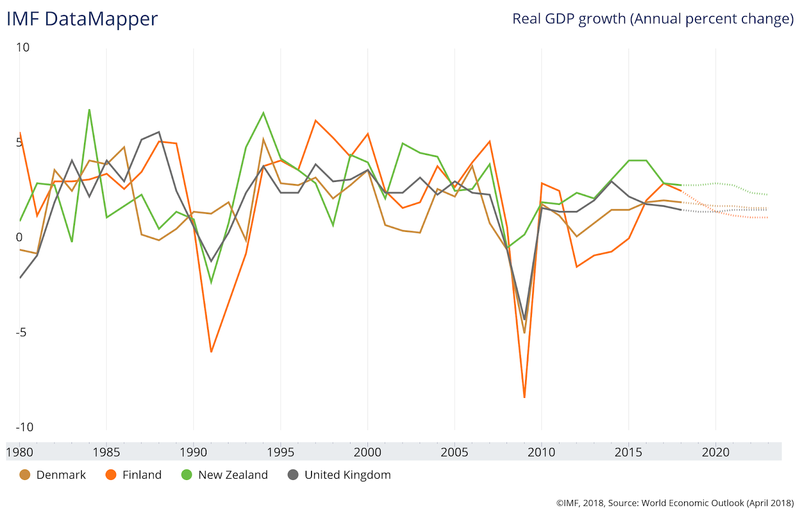 I'm not saying what will happen in 67 years, I'm just showing how sensitive the *claim the Growth Commission makes* (about what can be achieved in 25 years) is to the rather bizarre decision to include HK and Singapore in their analysis. But if you read the blog and followed the links, you'd already know that. Immigrants are to provide much of the projected growth spurt. We don’t need new powers to attract more immigrants from (or via) England, Wales and Ireland. We just need to become more “migration-friendly”. That'll be a start.